We’d love your help. 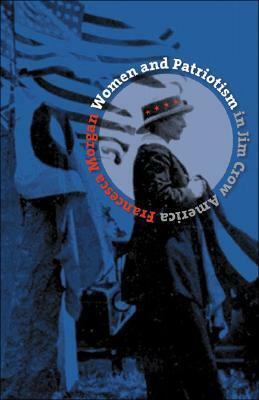 Let us know what’s wrong with this preview of Women and Patriotism in Jim Crow America by Francesca Morgan. After the Civil War, many Americans did not identify strongly with the concept of a united nation. Francesca Morgan finds the first stirrings of a sense of national patriotism--of "these United States--in the work of black and white clubwomen in the late nineteenth and early twentieth centuries. Morgan demonstrates that hundreds of thousands of women in groups such as the W After the Civil War, many Americans did not identify strongly with the concept of a united nation. Francesca Morgan finds the first stirrings of a sense of national patriotism--of "these United States--in the work of black and white clubwomen in the late nineteenth and early twentieth centuries. To ask other readers questions about Women and Patriotism in Jim Crow America, please sign up.